For the past few weeks I have tried to remind myself that these moments are what really make the holiday special. Sure, I love getting presents and indulging in a table full of food, but it is the simple things like the scents and scenes of Christmas and spending quality time with my family that is what the season is all about. There is a lot that I could have and should have done over the past few weeks, but it is very likely that my holiday was a bit more merry because I chose NOT to worry about doing them. 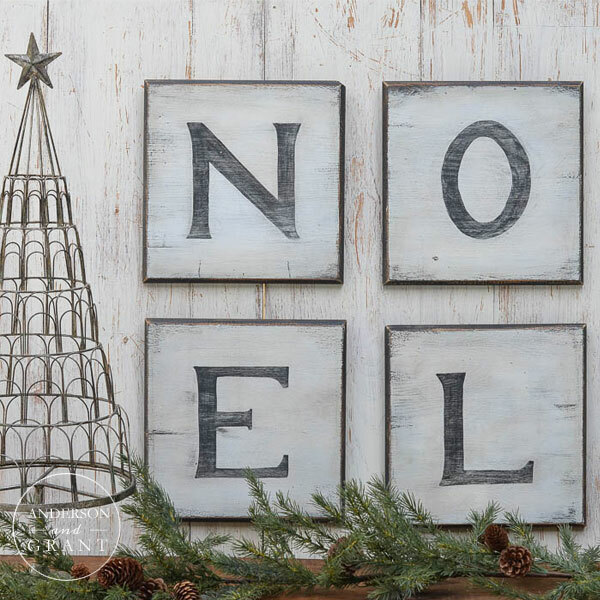 There are just a few days left to really savor the little moments before the holiday is here and gone. Cherish them and fill those moments with activities that make your heart feel good on the inside, friends. Ready to learn how to create art work like this yourself? Someone gave me these boards already cut with a rounded edge. If you are handy with power tools, you may be able to make ones like this yourself. 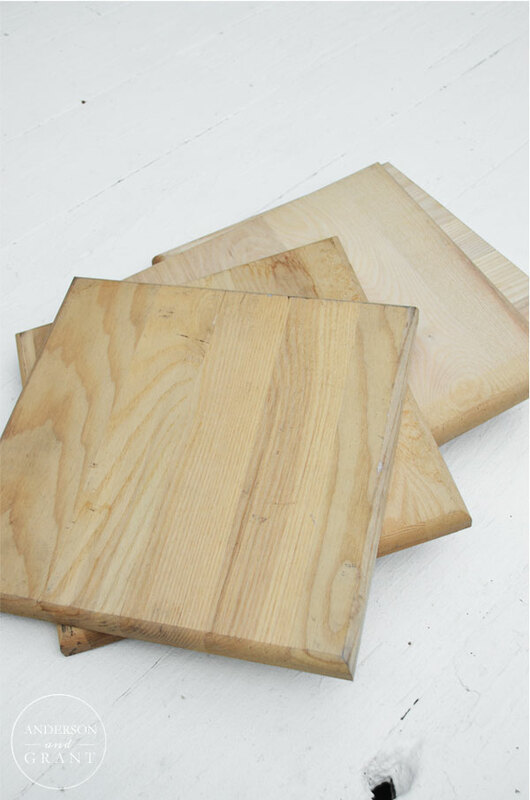 Cut and routered boards are also available at any craft store. 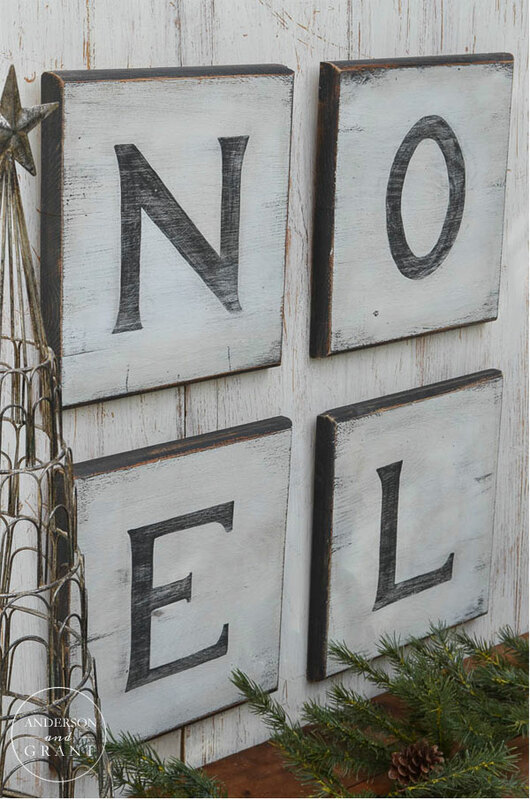 Since I was given four boards, I chose to create my signs to spell the word NOEL and hung them in a square. 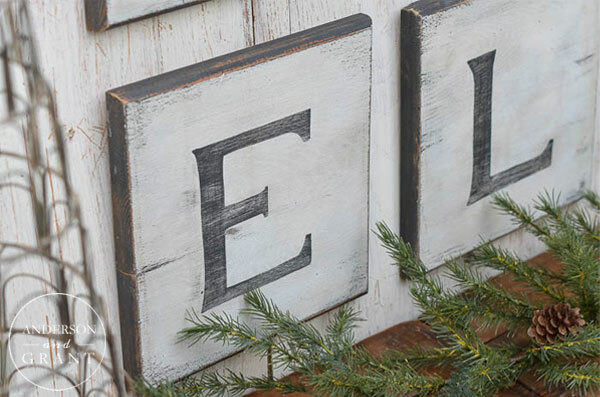 For your project, you can create any word (and for any season) that you'd like. You could hang them in a row vertically or horizontally, or even just lean them staggered on a shelf! If your boards are new or bare wood, you'll want to stain them first so that the distressing doesn't reveal the light colored wood. Older wood may not need to be stained. Rub a clear wax candle over the corners and edges of your board. This will allow the dark layer of paint to chip away and reveal the stained wood below when you sand the final product. 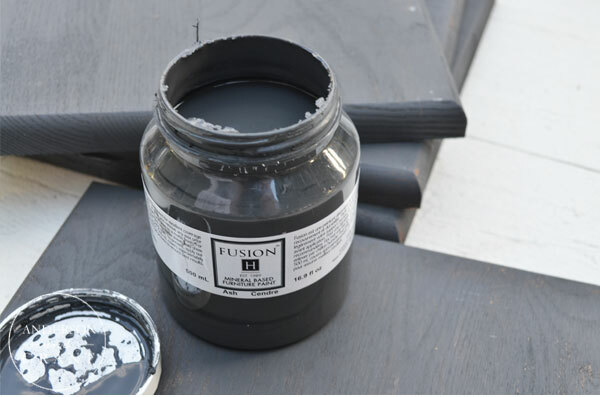 Paint the entire board in a dark charcoal colored paint. 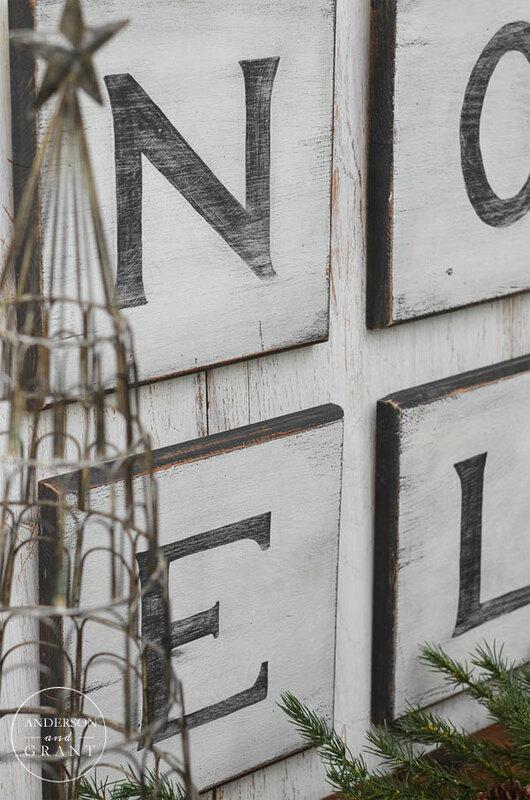 When that coat of paint is dry, use the candle to once again rub over the edges and anywhere you want to see the charcoal paint showing through when the white is distressed. Then I dry brushed a little bit of the tan colored paint to areas around the edges of the white paint. This gives the finished look a bit more dimension and age after everything is sanded. 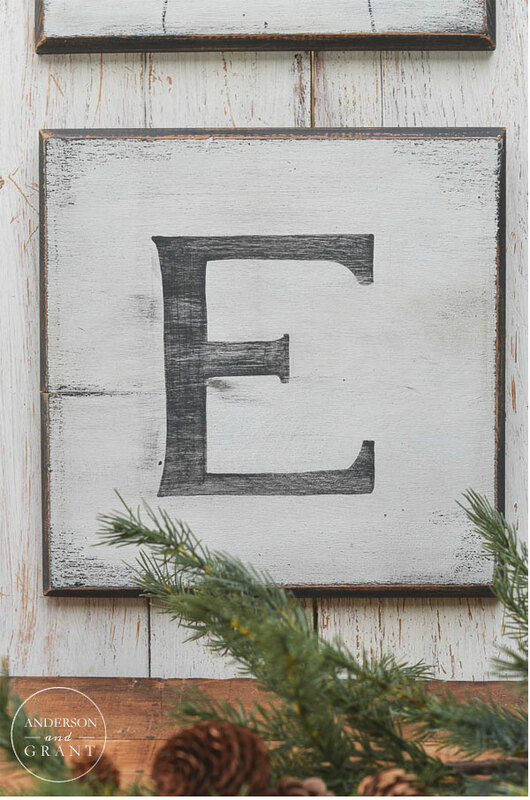 While the coats of white paint are drying, you can sketch out the letters to transfer onto your boards. You may be most comfortable designing letters on a computer. I decided to sketch mine out using a ruler for straight lines. 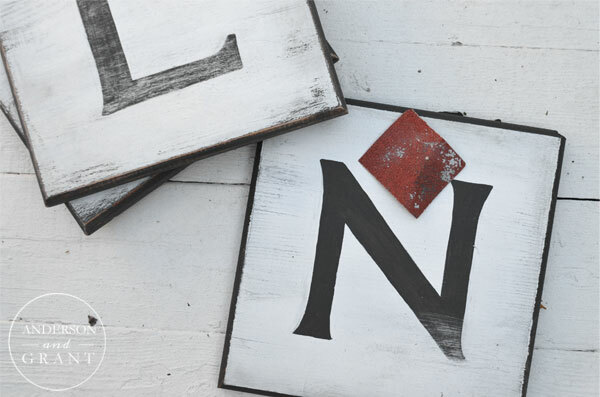 Transfer these letters onto your boards when the last coat of white is dry with carbon paper under your sketch. 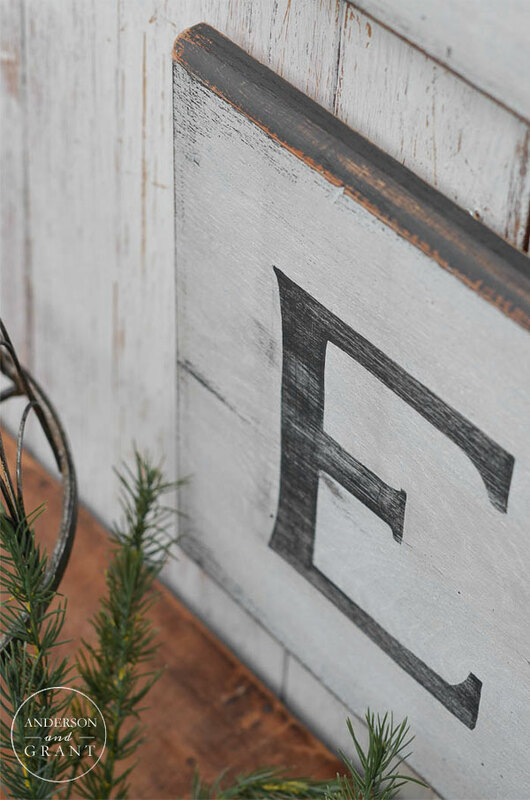 Paint the letters with the charcoal paint. 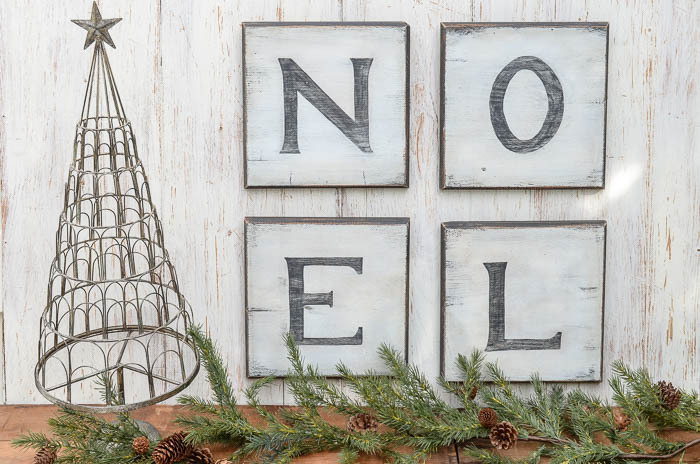 Don't worry too much about painting your letters perfectly. The beauty of distressing is that it hides all the minor imperfections in what you paint. 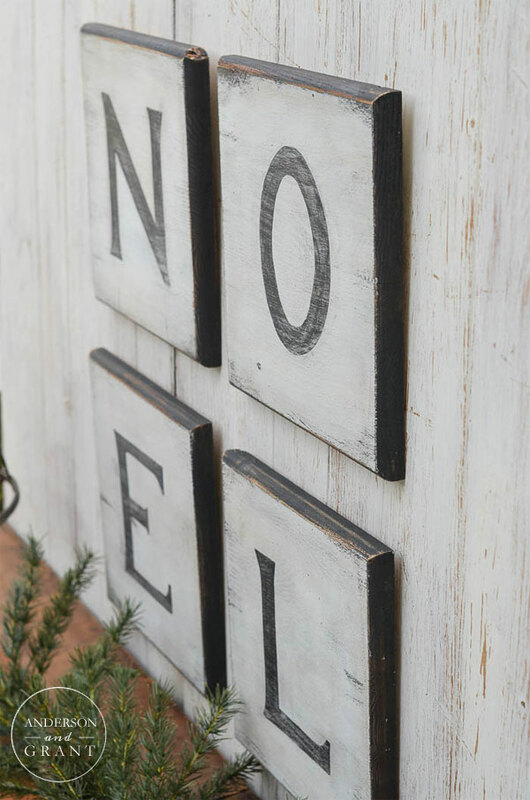 When the letters are completely dry, use heavy grit sandpaper to heavily distressed the boards and painted letters. I wanted my signs to look as though they had been weathered and aged over many years. Attach a D-hook or saw tooth hook to the back of each board for hanging. Both types are available at hardware stores, craft stores, or places like Target. 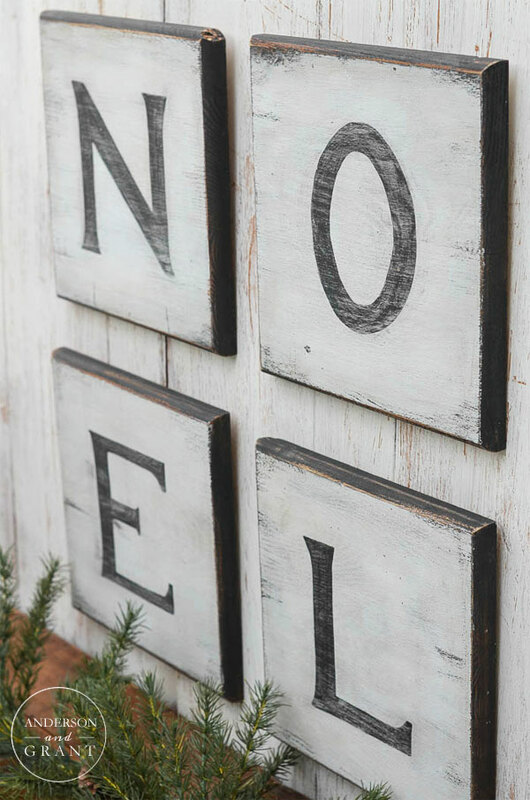 And now your project is done and ready to be used for decorating your home! This is the type of craft that can be completely customized according to your style and decor. While I did mine is a neutral black and white theme, you could paint your's in any color that you'd like. 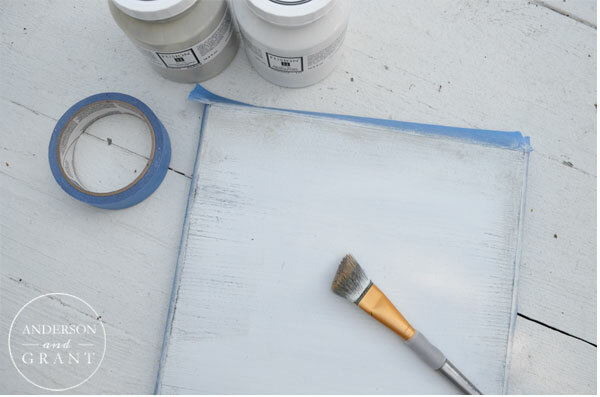 If a distressed look isn't your thing, skip that step and leave your paint looking neat and clean. Use plain slab boards rather than ones with the rounded edges. 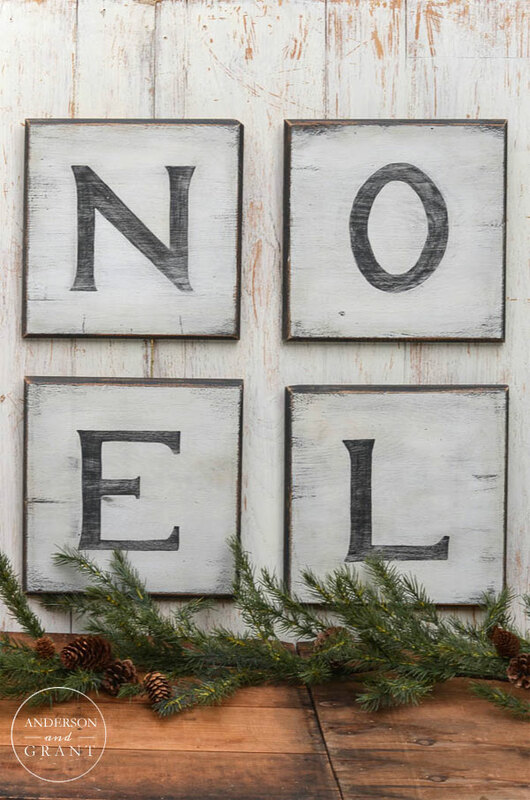 And as I mentioned earlier, you can paint any word that you'd like and find a unique way to hang the letters on the wall. The most important part of making anything is that you enjoy the process of creating and incorporate the style and techniques that you enjoy and are comfortable with. So, put on some Christmas music, brew yourself a cup of that gingerbread coffee and get crafting! Let your own passions and style guide you through creating some custom art for your space. I'd love to know.....What kinds of things did you craft this Christmas season?